I've tried Alberto Jonas' Master school of piano playing in 5 books, but I find it very very difficult to master. Many exercises tell you to transpose 2 pages of different sometimes repetitive notes in all keys; yes I can do this, but it takes quite a bit of time. A pianist close to virtuoso-level should be able to master these exercises, but it defeats the purpose when the series is meant to train the intermediate pianist to a virtuosic one. I'm also trying Dohnanyi and Pischna exercises. Great exercises for finger independence, but I feel that's all it provides. Haven't tried Hanon or Cramer etudes, though I heard they aren't that good. I feel like I'm missing many things (especially accuracy and movement in between notes) considering I've never had a teacher in my life. What would you suggest? Should I abandon exercises and focus on chopin etudes/beethoven sonatas/bach? I don't think exercises are important. I think true pianism is developed by solving the real problems in music rather than thinking that doing repetitive tasks magically makes you good at piano playing. Different people advocate different things and many will tell me I'm talking nonsense but so long as you play pieces that challenge but don't overwhelm and you work analytically and with thoughtfulness you can develop fine technique without exercises. Besides, most virtuosic passages are not necessarily even close to the drivel that's found in exercises, they are all unique and must be learned and approached for what they are. This method is organized into 18 weeks (or chapters). Each week is devoted to different aspects or problems of piano playing -- patterns, chords, double notes, repeated notes, octaves and more. Each week is accompanied by a Practice Calendar to organize your practice time. The American pianist Douglas Riva has gained international recognition for his profound knowledge of Spanish music, and no less an authority than the distinguished Spanish composer Xavier Montsalvatge has described him as an exceptional pianist. Douglas Riva’s interpretations of the works of Enrique Granados, in particular, have earned him a place as one of this composer’s leading exponents worldwide, praised in the Spanish press and elsewhere. His recordings for Naxos of the complete piano works of Granados have won critical acclaim, notably in Spain, the United Kingdom, Japan and the United States. Douglas Riva is the Assistant Director of the eighteen-volume critical edition of the Complete Works for Piano of Enrique Granados, directed by Alicia de Larrocha and published by Editorial Boileau, Barcelona. An active recitalist, he has performed at the White House and at Carnegie Hall and has recorded numerous programmes for television and radio in Brazil, Spain, Portugal, Holland, and the United States. He gave the first American performance of a newly discovered Scarlatti sonata at the National Gallery of Art and the world première of Gazebo Dances by John Corigliano in Barcelona. Granados’s long-lost masterpiece Cant de les estrelles for piano solo, organ and choruses was performed for only the second time in history by Douglas Riva and the Voices of Ascension, directed by Dennis Keene in 2007. The Naxos recording of the première performance, Song of the Stars (Naxos 8.570533), was nominated for a Grammy award. Douglas Riva started his musical education at the age of nine, studying both the piano and the flute. He began his professional career at the age of sixteen as the Principal Flautist of the El Paso (Texas) Symphony Orchestra. Later, devoting himself exclusively to the piano, he continued his studies at the Juilliard School, New York University, and at the Academia Marshall, founded by Granados. The Fallen Nightingale, a novel by John W. Milton based on the life of Enrique Granados, was published by Swan Books in 2005 and includes a compilation CD of Douglas Riva’s recordings for Naxos. you're glued to the seat. Hanon and Cramer are not the same at all. I found Hanon mostly a waste of time (though maybe I was using it wrongly). Cramer's studies, on the other hand, are musically interesting, and force you to work progressively on one aspect of technique at a time. My teacher had me do a bunch of them to prepare for starting to work on the Chopin Etudes. Do you think Cramer etudes are good for a pianist like me? Should I try to play all 60 etudes? Well, the reason why I wrote this post because it's very hard to find a teacher where I live and I want to practice efficiently until I find one. If Chopin advised the Cramer etudes then I guess it's pretty good. Basically I want something not too hard like Liszt Etudes but not too easy; Cramer seems to fit here. cramer's exercises were endorsed by herr L.v.B. and used for his nephew's instruction. cramer was influenced by both of the preeminent hammerklavier practitioners of his time, v.B. and clementi. cramer's exercises were endorsed by herr L.v.B. and used for his nephew's instruction. That didn't end up too well, if I remember correctly? Is the argument against exercises at all so untenable that it bears no discussion? Seriously, just try not doing exercises for a while and see what happens. Will you really "lose" something? Why not just make sensible decisions on actual musical pieces to play that expand your understanding of the piano and push your abilities and leave it at that. So I just printed out hanon exercises and finished around up to exercise 39 today spending about 2-3 hours mastering them. Now my hands are weird, not hurting, not cramping, but weaker and less flexible (ironically) when I came back to playing my pieces. I hope this is temporary and will return to normal when I wake up. The answer to your question depends on many factors, like how ambitious you are, how old, how much time you have available for practice. If you are looking to improve, it is important to work on technique seperately, but no more than 1/3 of the practice time. + The good thing about technical exercises is that technical elemets are isolated and you can focus on a particular issue. - The bad thing is that those exercises are usually unmusical which often result in uninvolved-mindless practice. On scales and arpeggios, one can work for his entire life. This is certainly a work which if done with attention will be beneficial, because those are the most basic elements in music. You can practice in countless ways, but I would like in particular to mention a way which is usually neglected, and that is to practice with hands separate. But what is more important is this: Find the problem and practice to solve that concrete problem. Don't just play a scale for the shake of playing a scale. Over the years, I've used Hanon, Jonas, and Liszt's Technical Exercises. - I didn't get much out of Liszt's Technical Exercises. I'm not sure if I just tried them too early in my piano career to appreciate the difficulties - I couldn't play them very quickly at all. - Hanon - these helped me build finger independence when I was first starting piano. They eventually became pretty easy. A few years ago, I decided to play them in different keys (keeping all of the C major fingerings) - it was pretty challenging and allowed me to address one of my weaknesses - playing inbetween the black keys. - Jonas - for what it is worth the edition I own is in 7 volumes. 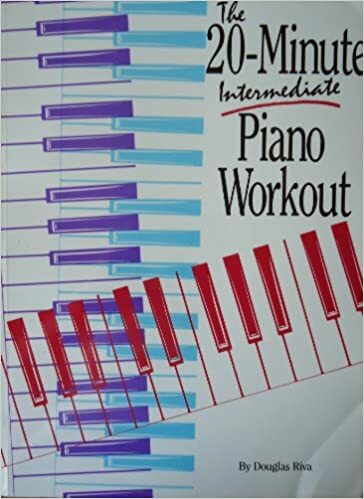 I think Jonas' books are fantastic and are the most complete technical guide for piano in existence. I also like that he frequently references pieces which the exercise can apply to. I primarily only use these books as a reference. I've used the books on arpeggios and double notes the most. Jonas even includes a practice guide in the books indicating how many minutes someone should spend on each exercise per week day. I think to make the technique books worthwhile - the exercises need to be transposed into other keys. Jonas and Liszt both mention this. Hanon doesn't, but transposing makes the exercises much more challenging. I only use these books on occasion, definitely not a daily thing for me. I usually have about an hour to play the piano a day, and I don't want to get it all sucked up with exercises. I do try to sightread for about 10 minutes every day (Jonas mentions this in one of his books as being the most important thing a pianist can do). Personally, I enjoy learning Etudes far more than working out of the exercise books mentioned above.